If the snow and ice storms hitting some parts of the country don’t faze you, how about working in the snow – in the Antarctic. According to a job ad sent in by a longtime reader, Raytheon wants to send network engineers to the South Pole to work on the National Science Foundation’s United States Antarctic Program. The government contractor is looking for Cisco-certified professionals, including CCIEs, CCNPs, CCDAs, and CCDPs with experience of SONET, ISDN and Frame Relay, to work with the Raytheon Polar Services Company. Raytheon provides services including science, operations, logistics and IT to three Antarctic locations. According to the ad on Dice.com, the contract position offers a compensation package that includes travel to and from the ice, and room and board. It seems that Terry Childs is a very intelligent man. According to my source, Childs holds a Cisco Certified Internetwork Expert certification, the highest level of certification offered by Cisco. The routing configuration of the FiberWAN is extremely complex. Probably more so than it ought to be; I sometimes got the feeling that, in order to maintain more centralized control over the routing structure, [Childs] bent some of the rules of MPLS networks and caused problems for himself in terms of maintaining the routing. Because the system was so complex (and also because he didn’t involve any of the other network engineers in his unit), Terry was the only person who fully understood the FiberWAN configuration. Therefore, to prevent inadvertent disruption of this admittedly critical network, he locked everyone else out. I know most of the networking equipment … does use centralized AAA, but I get the impression he may have configured the FiberWAN equipment for local authentication only. This is where it gets tricky for the prosecution, IMO, because the localized authentication, with Terry as sole administrator, has been in place for months, if not years. His coworkers knew it (my coworkers and I were told many times by Terry’s coworkers, “If your request has anything to do with the FiberWAN, it’ll have to wait for Terry. He’s the only one with access to those routers”). His managers knew it. Terry also, obviously, had a terrible relationship with his superiors. I should point out that he’s not just a network engineer — he was the lead network engineer for the entire City. His bosses were all managerial rather than technical, and while the other engineers did not actually report to Terry, they did defer to him in any technical matters. Even the network architect left it to Terry to actually figure out implementation. Terry felt that his direct superior was intrusive, incompetent, and obstructive, and that the managers above him had no real idea of what was going on, and were more interested in office politics than in getting anything done. At one point he was concerned about the security of the FiberWAN routers in remote offices, so he had them set up without saving the config to flash. “If they go down, I’ll get alerted, and connect up to them and reload the config.” Great, except we have power outages all the time in this city, some of those devices aren’t on UPSs, and what happens if you’re on vacation? And what about the 15 to 60 minutes it might take you to connect up and reload? He eventually conceded and (ahem) decided that disabling password recovery was sufficient security. 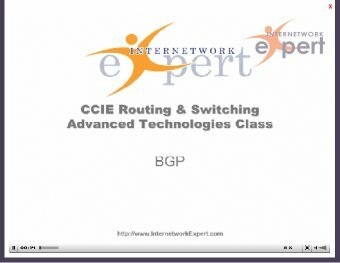 CCIE candidates share a unique vocabulary. I will occasionally forget that others are not fluent in Nerd.